Your time is valuable, so you don't want to waste it on tedious chores. 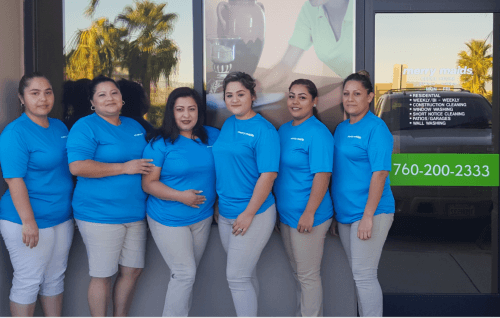 If you're looking for a dependable maid service in Palm Desert, CA, that will provide thorough home cleaning services tailored to your specific needs, Merry Maids of Palm Desert can help. Our experienced team members will leave your home sparkling clean. It's easy to miss dirt that's hidden away in nooks and crannies, so if you want your bathroom, kitchen, and other rooms to be as clean as possible, let our friendly team members handle the job. They're trained in state-of-the-art cleaning methods and constantly apprised on the latest house cleaning techniques. You won’t even have to stock any supplies as our team members arrive on the job armed with all of the equipment and products they need to provide the ultimate clean. Our clients appreciate consistency, which is why we'll strive to send the same friendly team members to your home for each appointment. Providing impeccable client service is our main goal, so we'll make every effort to give you a clean that measures up. Our recurring housekeeping services can make your life much easier. Perhaps you’re a retiree and need some assistance in maintaining a clean house, or maybe you're a vacation-home owner who wants your property thoroughly scrubbed before your next visit. 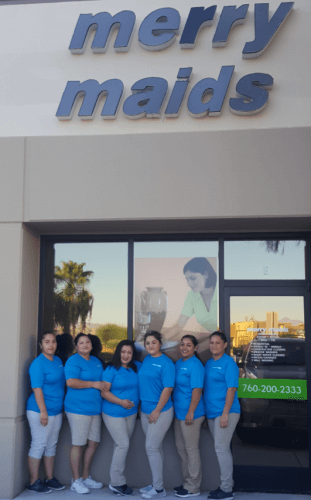 Whatever your reason for needing a dependable maid service in the Palm Desert area, Merry Maids of Palm Desert is the answer. Contact us to learn more about our services. Merry Maids utilizes mobile technology for a more efficient customer experience. Ask us for more details.